What Do You Want To Know About The 2015 Volvo XC90? 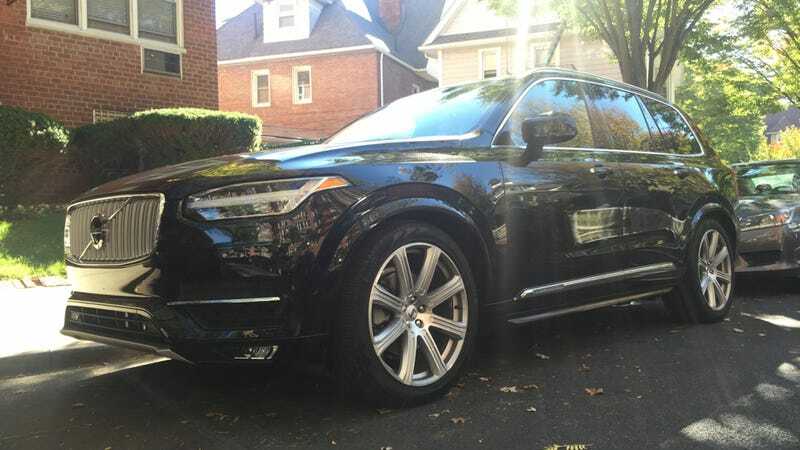 We’ve just managed to snag our first example of the new Volvo XC90 stateside, and already I think I’m feeling the heady vapors of that which the Swedes would call förtjusning. Well, that what Google Translate says it’s called, anyways. It’s one of the few cars I’ve been in over the past year or so that actually feels like it heralds the call of the future, rather than just re-hashing (sometimes in fun ways!) what we’ve seen for the past few years. I’m actually working on this post from inside the car, thanks to its handy-dandy WiFi network, and I’m here to answer all your questions about it. The Pilot Assist feature is pretty wild. It’s essentially an autopilot for the car in stop-and-go traffic, and the whole thing drives itself. The steering, the accelerator, the brakes, all of it. The infotainment system is pretty much an iPad. That’s neat, and also surprisingly intuitive. There’s an audio setting that recreates the acoustics of the Gothenburg Concert Hall. It’s wild and sounds great. While Pilot Assist is swell and useful in theory, it doesn’t always work properly in the real world. It leaves big gaps in between you and the car in front of you, which is safe, but in actuality just invites people to cut you off, and the car takes a while to respond, which is less safe. Also, it freaks out in long tunnels. Also, it doesn’t always recognize the lanes you’re in. In long, storied Volvo tradition, the navigation system (not the entire infotainment system, mind you, just the navigation system) is a bit crap. The heads-up display isn’t the easiest to see when you’re wearing sunglasses. But now I’m nitpicking. So what else do you want to know about it?